French President Francois Hollande called on the United States and Russia to join a global coalition to destroy Islamic State in the wake of the attacks across Paris, and announced a wave of measures to combat terror in France. The United States and Russia joining forces for a “global coalition” against ISIS (Islamic State)? What about Russia’s alignment with President Bashar al-Assad of Syria and America’s alignment with the rebel forces (Free Syrian Army, Al Nusrah) against Assad? Or Iran’s alignment with President Assad of Syria (both Iran and Assad are Shiites) and the millions funneled to Assad as well as its neighbor, Hezbollah of Lebanon, by Iran? Iran has also aligned itself with Russia and together they are a formidable force with Assad. Has all that changed overnight by ISIS actions in Paris? This is precisely what French President Hollande is counting on. Previously, it was President Obama imploring the nations of the free world to join the American coalition against ISIS. Now, French President Hollande has moved to center stage attempting to form a global coalition against ISIS! How the world changes in 24 hours! A global coalition against ISIS that includes America, Russia, and France will be a formidable force, and one that even the Islamic State will need revise their war strategy. But if the global coalition is formed, what would Islamists around the world do? Right now ISIS and Al-Qaeda are enemies of each other. ISIS, in fact, launched its own attacks against the al-Qaeda aligned rebel forces in Syria (Al-Nusrah). ISIS has also, through its Sinai affiliate, recently downed a Russian aircraft over Egypt with the loss of over 200 on board. ISIS and the rebel forces that are opposing Assad are all Sunni Salafi Muslims, that is, ultra-conservative, purists of Islam who believe violence is the only method of fulfilling Muhammad’s reported prophecy that the entire world be Islamic. Both Salafi groups consider Shiites as infidels, i.e., unbelievers. Shiites are referred to with the pejorative term “rafida,” Arabic for “rejectors.” This is an Islamic term which refers to those who reject legitimate Islamic authority and leadership (Sunni authority, that is; Shias reject all Sunni authority beginning with the first authority (caliph) upon Muhammad’s death in 632 A.D. Read more.) Salafists refer to Shiites as “rafida” as abusive nickname. At what point do the two Sunni Salafi groups stop fighting each other and join forces with one another? (Video below on Baghdadi and Zawahiri) After all, consider who is on the opposing side of both: France, Great Britain, United States, Russia, Iran, and Syria, to name just a few of the key players. ‘Despite the big mistakes (of Islamic State), if I were in Iraq or Syria I would cooperate with them in killing the crusaders and secularists and Shi’ites even though I don’t recognise the legitimacy of their state, because the matter is bigger than that,’ he said. 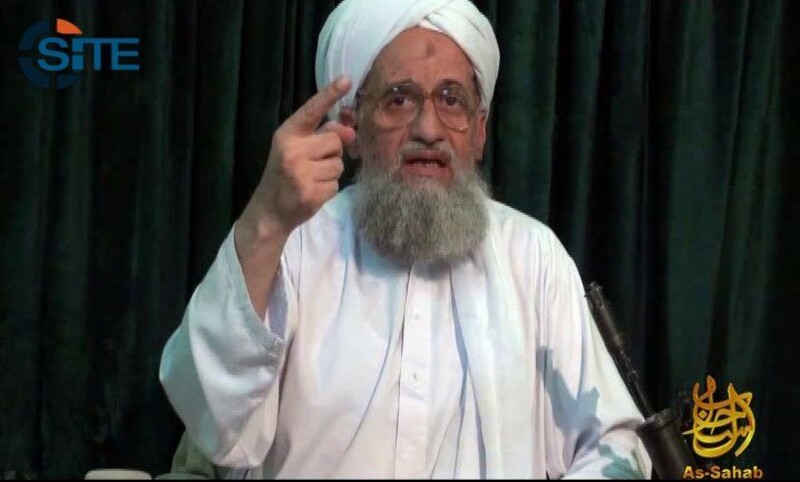 Zawahri did not elaborate, but his comments raised the possibility he could seek cooperation with a movement that has in many ways eclipsed Al Qaeda, its predecessor in Iraq. Read more. How does that ancient proverb go? “The enemy of my enemy is my friend.” How long will it take ISIS and Al-Qaeda to affirm their Sunni Islamist common root when the entire world is against them? If the global coalition does occur, I propose that the Islamic coalition will be close behind; and, World War 3 will be nearing the trigger point. When that happens, who knows who will be on the same side as Islam. All of this is so difficult to keep up with. It is confusing. I am grateful to have you to summarize it all, but I must admit – it is simply overwhelming to try to analyze it & understand it. These people are pure evil. I am so grateful that me & my family do not have to be “refugees”. It is complicated these days. Hard to keep the sides right. Yes, how true that last sentence is: a refugee is at the end of his rope, most of them, anyway. The danger from Islam is real, particularly so, from refugees because they have been dispossessed from their home country. How can America not assist in their relocation, in spite of the dangers? These politicians and world leaders are so naive and deceived. So-called “radical Islam” isn’t the enemy. Islam itself is the enemy. Yes, you are right. My next post has this point in mind.